Keep all your and your team's devices connected and charged with a single, massively useful hub. No matter what Apple devices you use, there are probably some annoying gaps in its performance. Maybe its batteries run out quick, or its storage, or you find transferring data between devices a hassle. So any device that can address all these shortcomings and more is welcome indeed. DoBox is a hub for all kinds of features, including onboard Wi-Fi, battery, and data transfer. 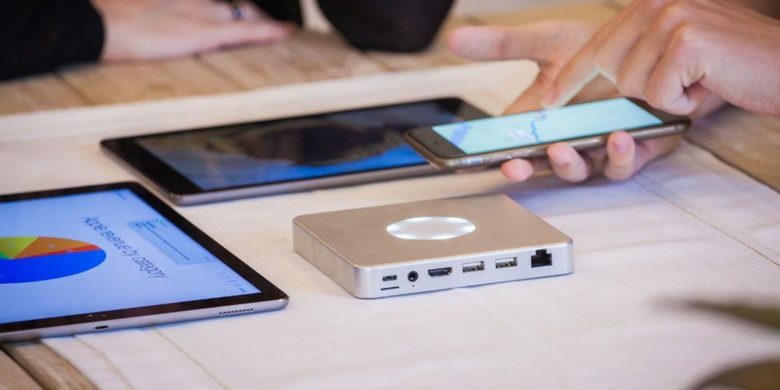 Use it to connect your or your team’s iPhones, iPads, or Macs to the internet, or printers, flash drives, hard drives, keyboards, TVs, projectors, monitors, speakers, and more, all wirelessly and without clutter. The built-in battery means it’s an ideal travel companion, and internal storage makes it handy for backup. It sports all kinds of connections too, from HDMI to USB, USB-C, and SD card. All of its many functions are accessible via the free iOS app, so it’s super flexible and easy to use. Buy now: Score a DoBox Portable Wireless Hub for $299, that’s 16 percent off the usual price.